Well before Alexandre Fraser purchased Timothy Donohue’s house to make it his manor, there had been five other manors on the seigniory’s territory. It all began in the era of New France. In 1673, the seigniory was granted to Charles-Aubert de la Chesnaye. The Seigniory of Rivière-du-Loup in 1841. The yellow dot shows where the first seigniorial manors were located. One seigneur followed another until Alexandre Fraser bought the seigniory in 1802. 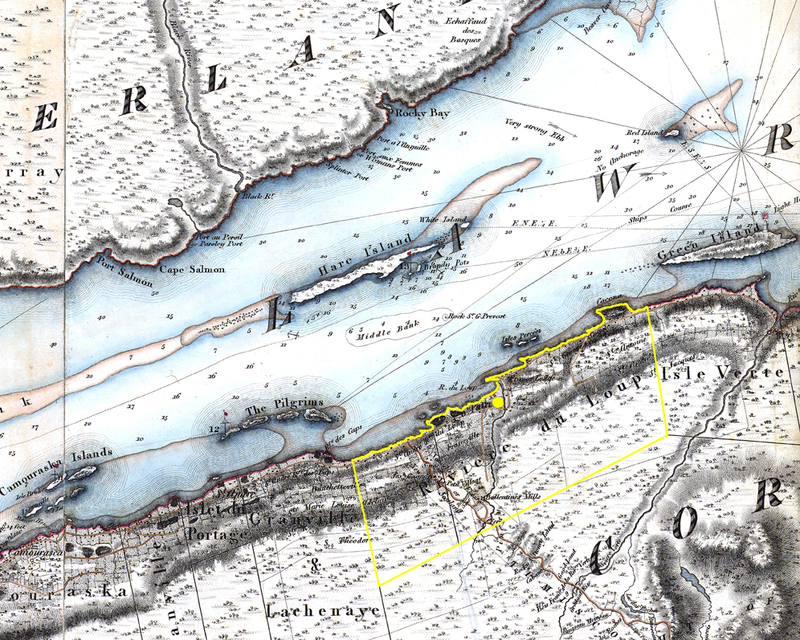 The first seigniorial manors had been built on land below the coastal headland, on the west bank of the Rivière du Loup near where it flowed into the St. Lawrence River. This was also where the first houses and mills were built. 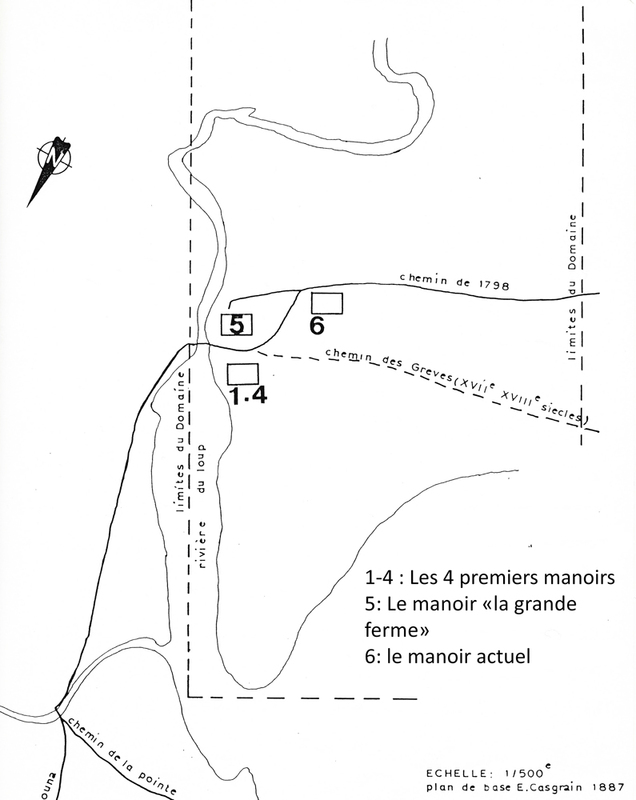 The location, in 1887, of the manor houses in the seigniorial domain when the Fraser family lived there. Over the years, the growth of the population and the construction of mills farther up the Rivière du Loup led Seigneur Alexandre Fraser to build his manor on higher land. In about 1820, the fifth manor house, also known as “the big farm,” was built southwest of the river. Until it was demolished in 1888, it was located close to the river, on the headland and to the east of what would be the sixth manor house. 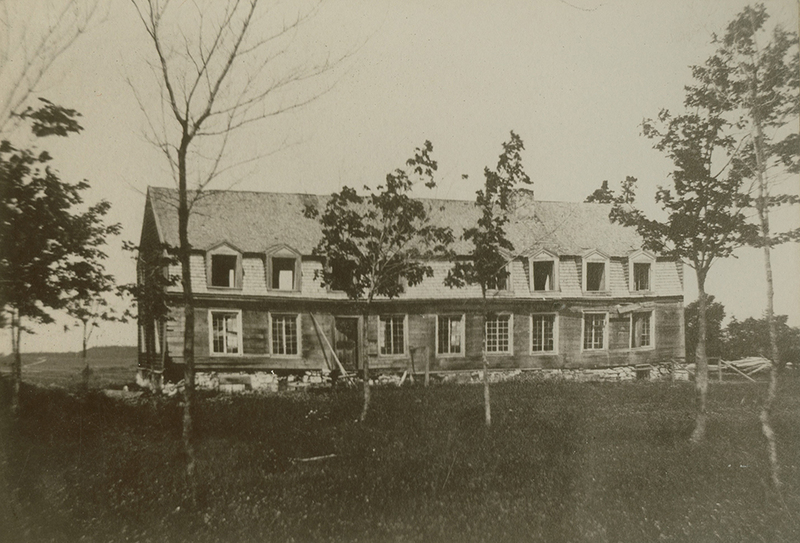 The fifth manor, called “the big farm,” circa 1888. Alexandre only lived at “the big farm” for a few years. In 1823, he rented it out when he moved to Lac Témiscouata. When he came back to the region, he bought the Donohue house, which became Manoir Fraser in 1834. Alexandre Fraser and his descendents lived in this residence for almost 150 years. Once upon a time, a house turned into a manorThe great transformation: how a small manor grew!